I Love You More Jewelry for Her Fine Taste. 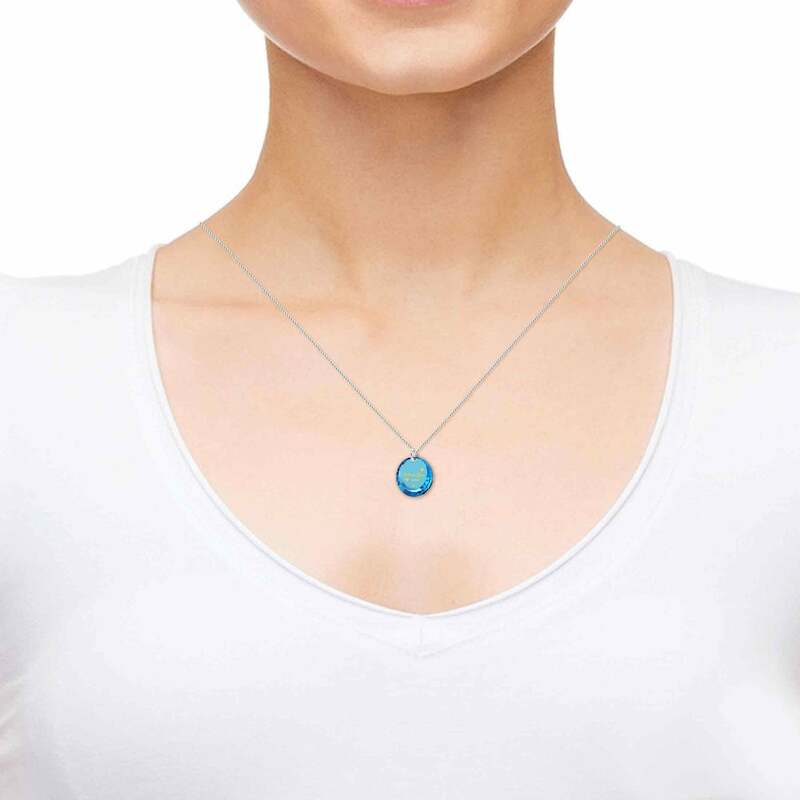 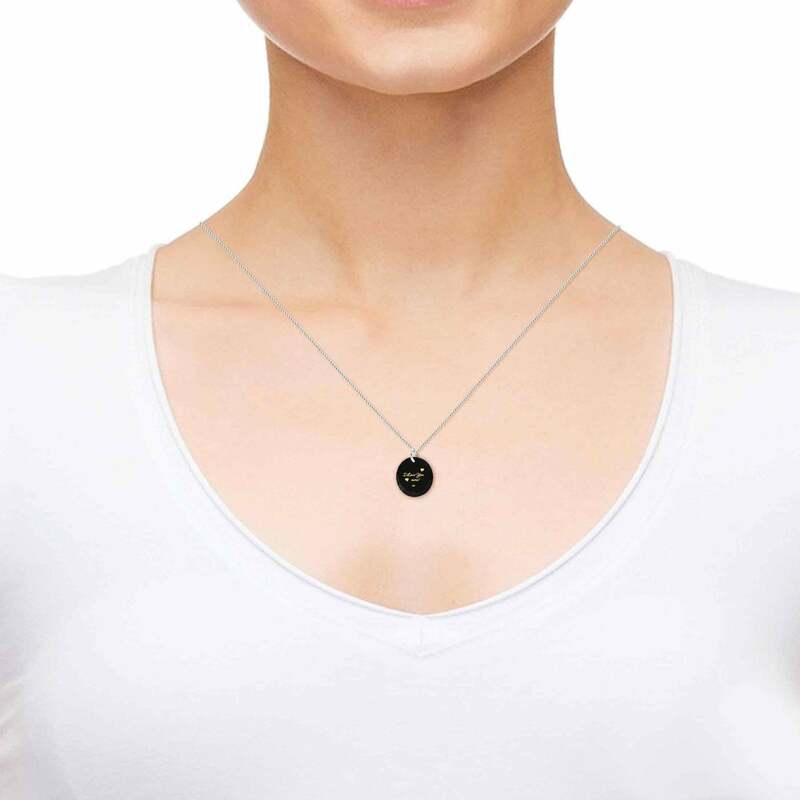 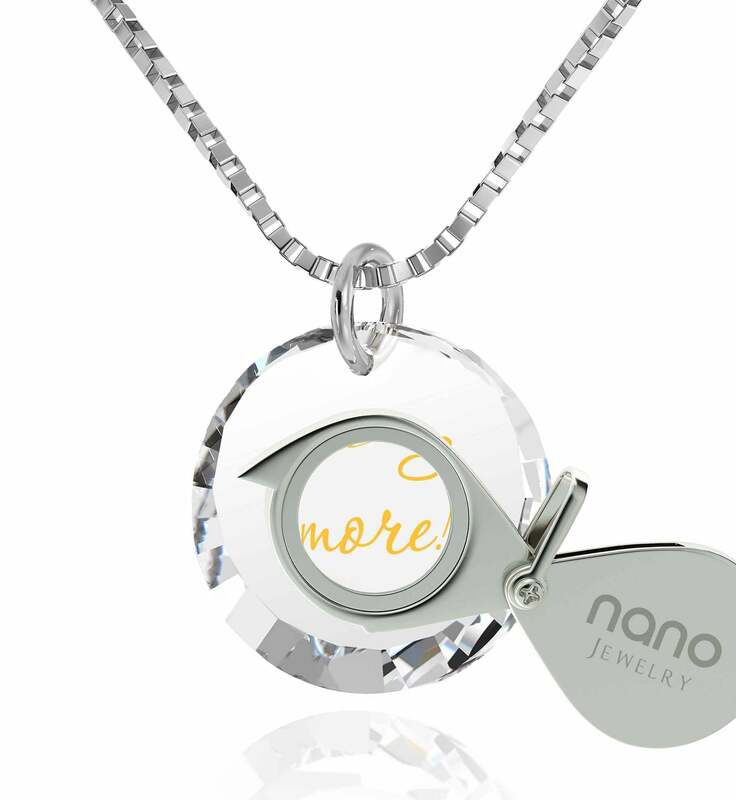 Discover Nano Jewelry Now! Brighten her day with this dainty Silver necklace! 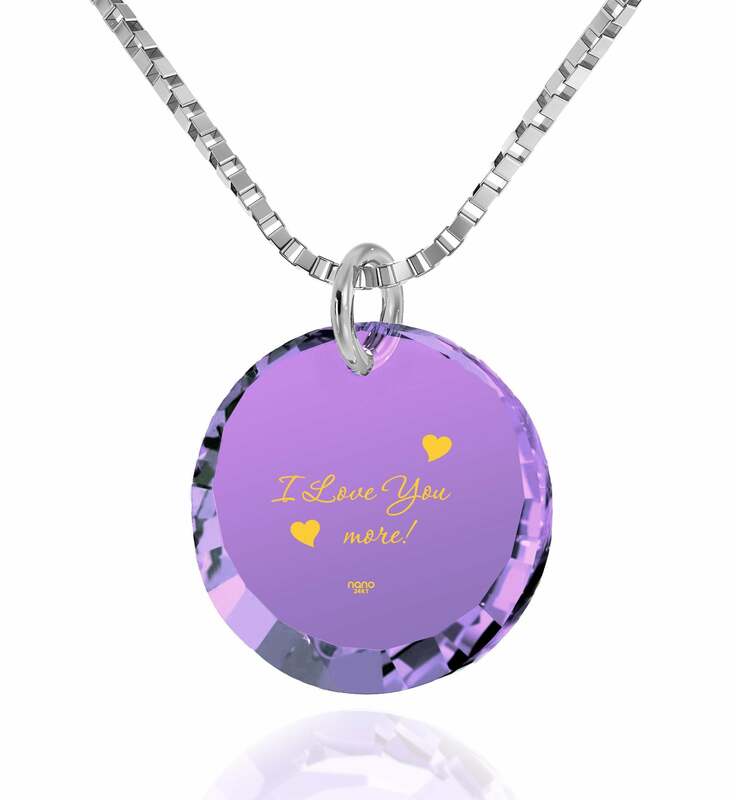 When looking for a good gift for girlfriends you don’t need to reinvent the wheel – whatever you get her, just make sure that it looks good, feels right, and has deeper meaning beyond the superficial shine. 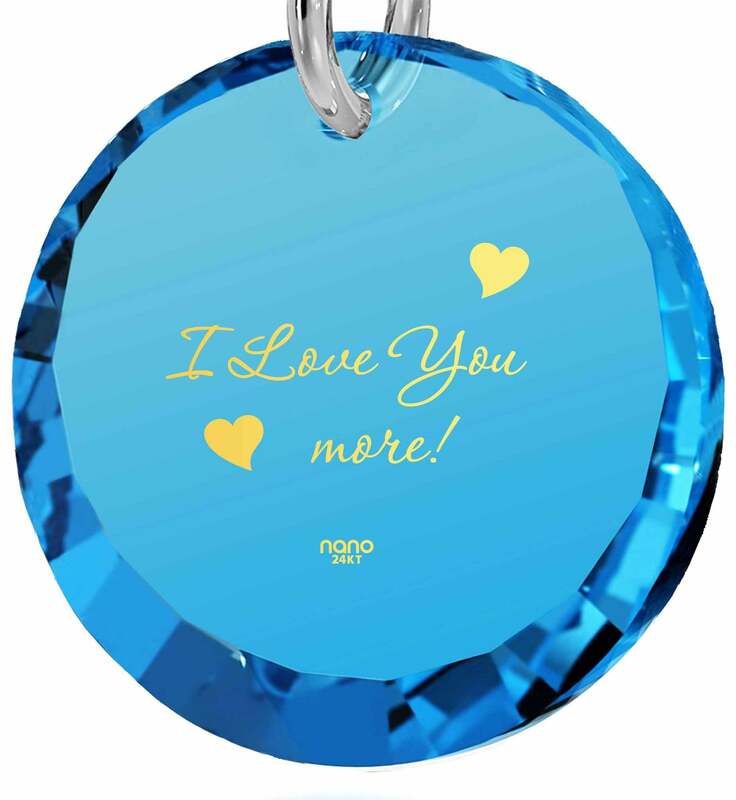 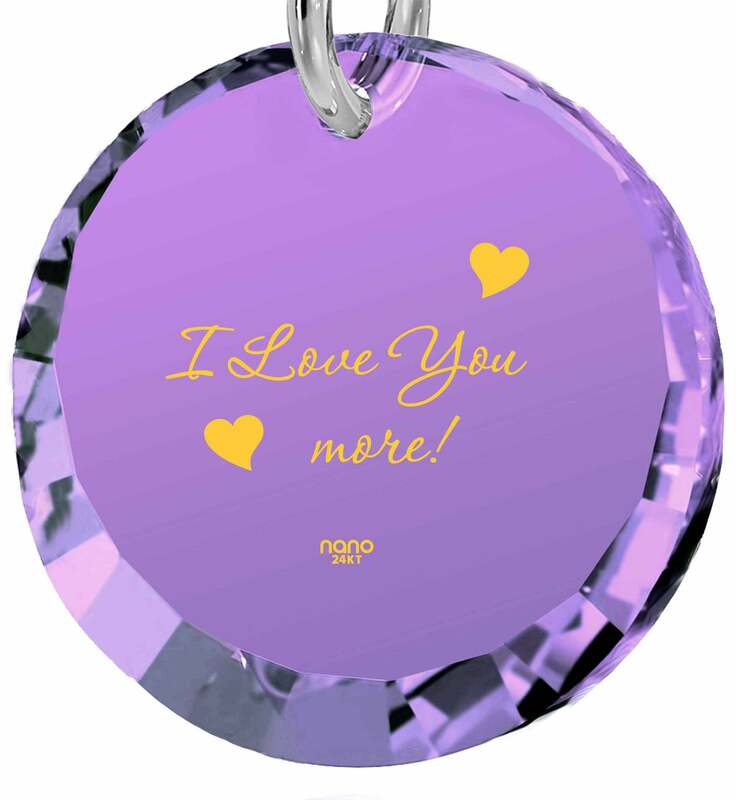 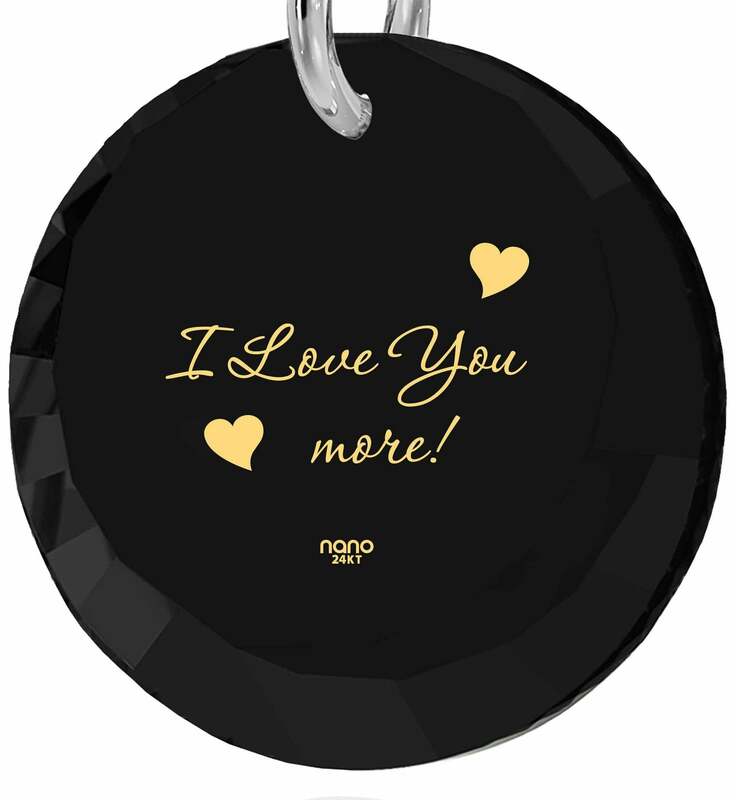 A great candidate that fits all of these criteria and then some is a piece of I love you more jewelry that she’ll love to display! 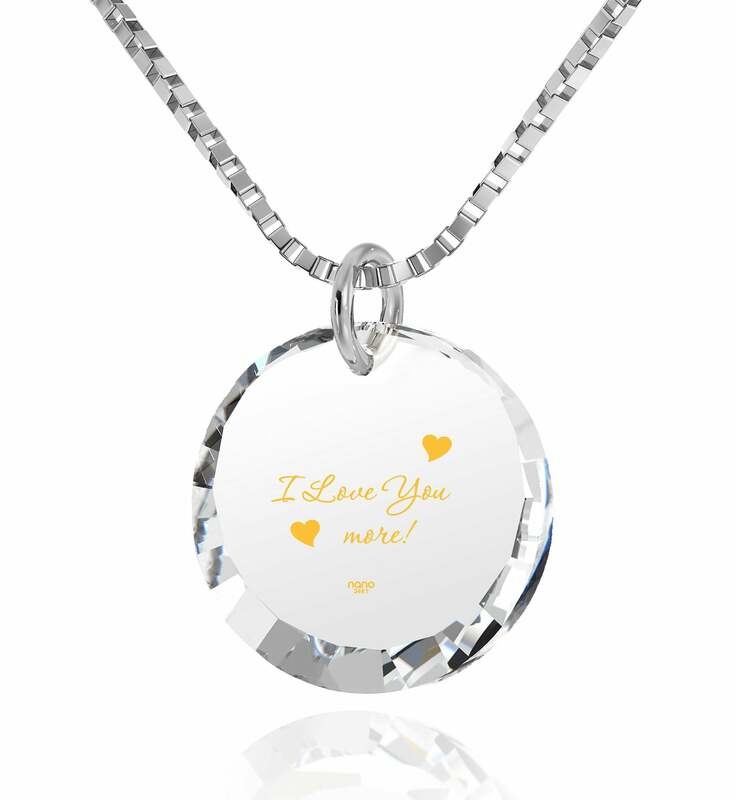 It doesn’t matter if this is an anniversary present for her or a spontaneous gesture, what does matter is the exceptional quality of its silver necklace chain and unique 24k pure gold inscription. She’ll figure out the former soon enough, but you can impress her with the latter yourself. 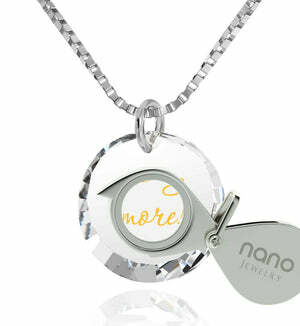 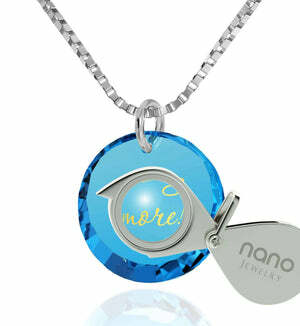 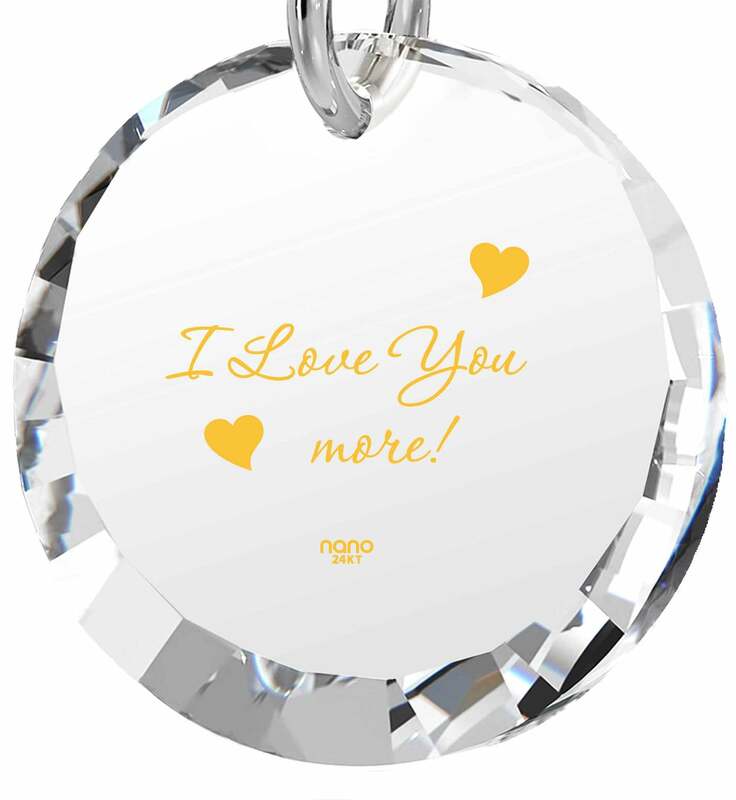 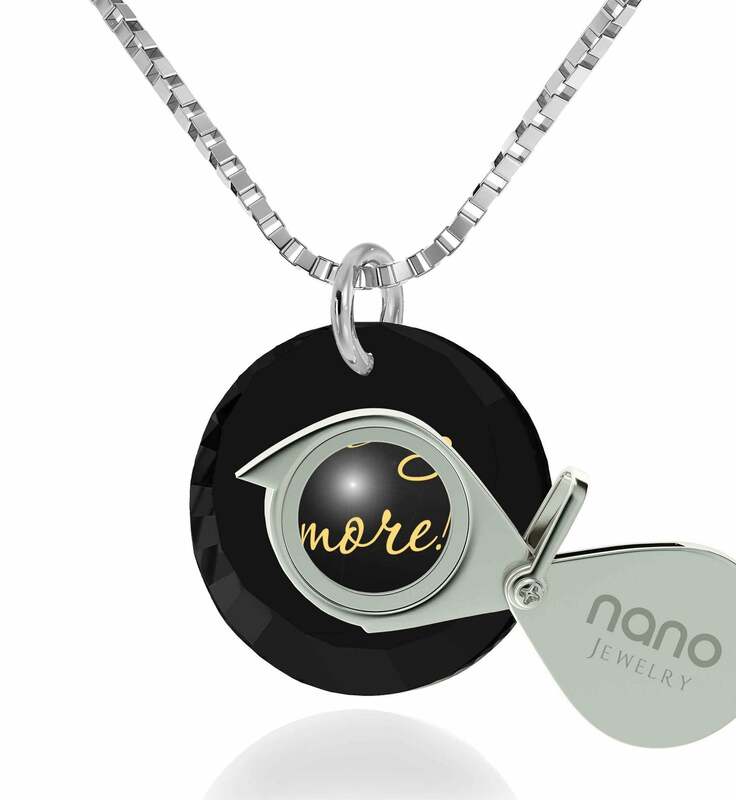 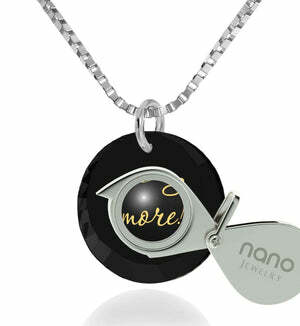 Only Nano Jewelry knows how to make everlasting inscriptions with this much detail and thought put into the whole process. Literally no one is able to copy this, making this top gift idea for women unique in the truest sense of the word. 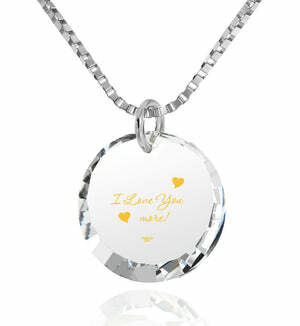 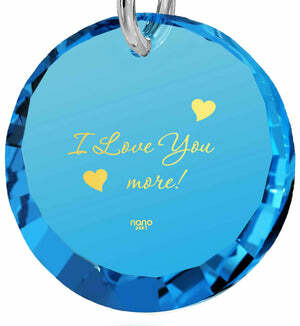 The fine golden letters read “I Love You more!” and there are two cute hearts next to them. 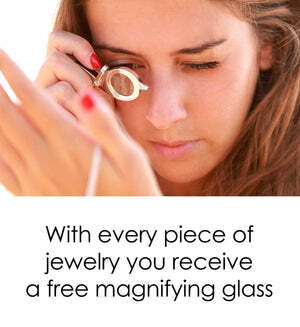 Discovering all the intricate lines and curves will be easy and fun with a custom-made magnifying glass she’ll get as well. 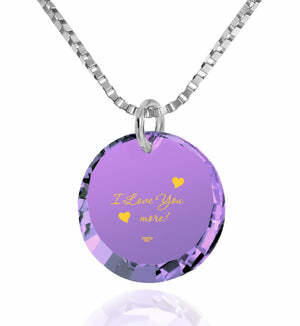 It wouldn’t be a pure romance product without an out of this world box everything comes in. She won’t hesitate to find out what’s inside, and when she does, the necklace won’t be leaving her side any time soon.